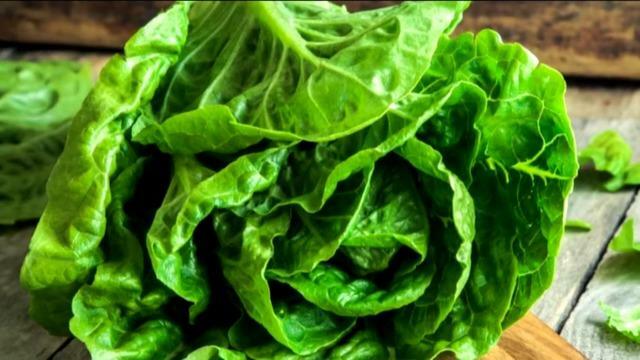 Seven more illnesses have been reported in the multi-state E. coli outbreak linked to leafy greens, health officials report. According to the Centers for Disease Control and Prevention, a total of 24 infections of the strain E. coli O157:H7 have occurred in 15 states, including California, New York, New Jersey, Vermont Maryland, Connecticut, and New Hampshire, among others. Eighteen people have become ill, nine people were hospitalized, and one person died in California. The CDC says the likely source of the outbreak in the U.S. appears to be leafy greens, but officials have not specifically identified a type of greens eaten by people who became ill.
Canada also experienced an outbreak and identified romaine lettuce as the source of illnesses there, but where the romaine lettuce came from or how it became contaminated is unknown. Genetic testing indicated that the strain of E. coli causing the illnesses in Canada and the U.S. are closely related. The CDC says state and local health officials are interviewing patients to try to determine what they ate before getting sick. Last week, Consumer Reports advised people to avoid eating romaine while the investigation proceeded. The Public Health Agency of Canada said that the outbreak there appears to be over. Leafy greens such as lettuce typically have a short shelf life, and since the last illness started a month ago, officials say it's likely that the contaminated greens are no longer available for sale. Symptoms of E. coli infection include diarrhea (often bloody) and stomach cramps. People usually get sick from this particular strain of E. coli three to four days after eating contaminated food. While many people associate E. coli and other foodborne illnesses with meat, in fact they often spread through contaminated produce. To help prevent E. coli infection, wash your hands thoroughly before and after preparing and eating food. Additionally, it's important to wash counters, cutting boards, and utensils after they touch raw meat to avoid contaminating other foods. Finally, avoid preparing food when you are sick, particularly if you are sick with diarrhea. If you are concerned that you might have an E. coli infection, talk to your health care provider.